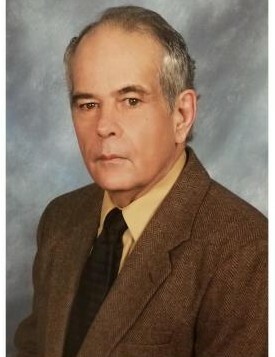 James Michael Stickelman, 70, of North Platte, Nebraska, formerly of Gothenburg and Brady NE, died April 10, 2019 in North Platte, NE. He was born January 26, 1949 in North Platte, NE, son of James Marvin and Patricia Evangeline (Hiles) Stickelman. Jim grew up south of Brady and graduated from Brady High, with the class of 1968. Jim also lived at Gothenburg and Grand Island before making North Platte his home. While living in Gothenburg, he attended the United Methodist Church. Jim served his country in the US Army, during Vietnam War from 1971-1973. In the Infantry, he brought men to the front lines and was a radio transmission and communication specialist and also serviced the half-tracks. Jim was honored to be of service to his country and often reflected back on that time in his life. For a while, Jim was married to Carol K Brown and they had a daughter Angela and a son Michael. Jim was very proud of his kids and grandkids and loved to spend time with them. He was an avid billiard player and was always up for a game of pool. He enjoyed the horse races and gambling. He had a special fondness for Strawberry Milkshakes! Jim was preceded in death by his parents Marvin and Pat Stickelman, sister Mary Lou Stickleman, granddaughter Laylita Grace and a brother-in-law Herbert McMichael. Survivors include his daughter Angela Stickelman-Wee of North Platte, son Michael Stickelman of Brady, grandchildren: Ashlyn, MaKayla (Kayla), Michael, Charles (Chaz), Lillian, Elliaunna, Alejandera; great grandchild Violet; sisters Patricia Ann Stickelman - McMichael of California and Cynthia Joyce Stickelman (Stephen W. Foldesh) of Arizona; brother Harry James Wesley Hiles Stickelman of North Platte, along with many extended family and friends. Visitation will be held at Blase-Strauser Memorial Chapel, Gothenburg, Nebraska; Sunday, April 14, 2019, 2:00 pm - 4:00 pm. with the family present. Funeral services will be held at Blase-Strauser Memorial Chapel, 620 Tenth Street, Gothenburg, NE on Monday, April 15, 2019 at 10:30 AM. Memorials may be given to the Liberty House, 420 West 4th, North Platte, NE 69101.